One of the most common issues in building brands is the lack of deep understanding of the brand and its positioning across the organisation. This results in a lack of focus, ineffective messaging and a waste of resources across the organisation. Our portfolio of Brand Building programmes focus on delivering sustainable strategies, development and management of brands. We look at the issues and opportunities in brand vision & strategy, positioning, portfolio management, brand diligence, integrated communications and more. 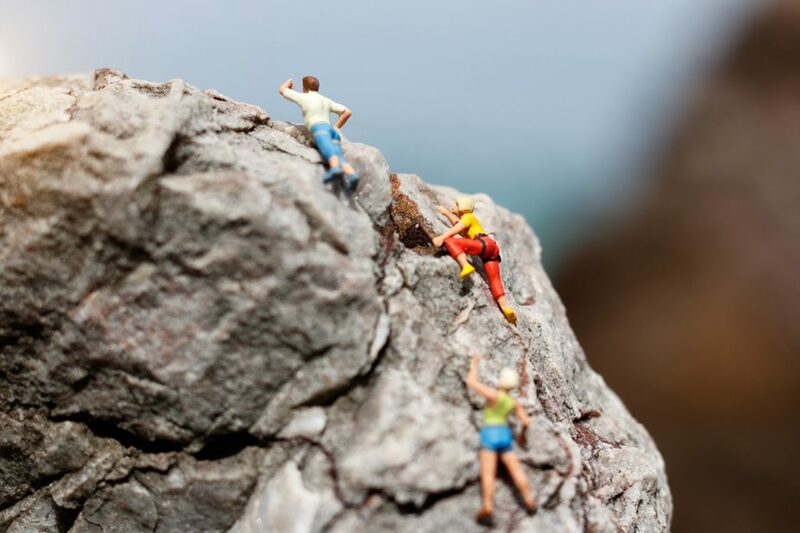 All of our Brand Building programmes are fully flexible to deliver on your business objectives. Our brand positioning development process is a consumer-focused approach to define the essential elements of a brand’s positioning. It includes profiling the target audience, understanding the competitive frame of reference and identifying the unique benefit with reason to believe. A due-diligence process to assess brand health and brand potential based on an audit approach with a qualified brand auditor. A consumer/shopper insight communication strategy development process generating a more efficient and effective approach across all relevant media touch points. Exploding the potential of your brands through client and agency alignment that always delivers world class advertising. A deep insights tool and unique approach to align teams around deep, reliable consumer attitudinal understanding. The program allows teams to develop profound insights that improve the efficiency and effectiveness of marketing activities. Favourite shoes: Blunnies as they are comfortable in summer as well as winter and appropriate on a John Deere or on Brunswick street. I have a Marketing and Sales background with an e-business and online overlay in B2B and B2C. My passion is to improve the customer experience by removing waste, barriers and improving flow through systems and processes. In doing so, helping get the business into alignment with its customers’ needs. More specifically, I spent 10 years in import, wholesale and retail photographics in sales and marketing roles in the 90’s transitioning to consulting which expanded to businesses starting to think about substituting conventional media with digital media and then start-up businesses in the on-line space. My consulting roles have varied from external strategic advisor to embedded General Manager for organisations and internal start-ups and include businesses such as Terry White, Agfa, JB Hi-Fi, in the import, wholesale and retail trade in consumer electronics, pharmacy, not-for–profit, photographic, air conditioner, electrical trade industries. JB Hi-Fi is an example where I joined them as a consultant and then became a member of the senior management team and helped build the JB Hi-Fi digital capability over 4 years and eventually led the advertising, print and eCommerce teams in Australian and New Zealand We grew the online visits by an average of 7.3% compounded monthly over those 48 months to 1.5m visitors a week. A recent role in the eCommerce space was as CIO for a Mobility business that created the online B2C channel for General Motors Holden to retail new cars and transact in the consumers driveway including swapping trade-in vehicles and finance options. Favourite shoes: My favourite pair of shoes is my Vans because every time I put them on I feel at ease and relaxed. They are comfortable, classic but still up to date! I’m a passionate believer that Brands are the most important assets of a business and that every individual in an organisation has the responsibility to add value to their brands every day. With over thirty years of corporate and agency experience I have built an in depth knowledge in Strategy, Positioning, Branding and Team Building. I am also an experienced facilitator having run hundreds of workshops over the last 15 years, with fifty of the world’s best known companies and their leading brands. I have been privileged to work globally in fast moving consumer goods, pharmaceuticals, health care, skin care, retailing, media and non-profit organisations. As a senior executive for Reckitt Benckiser and 3M, I managed divisions and ran companies in Italy, Spain, France, Central and Eastern Europe, Thailand, Singapore and East Asia. My diverse and multicultural background has allowed me to become fluent in seven languages and adaptable to cultural norms. Favourite shoes: My favourite pair of shoes are not shoes at all. They are my Simms Wading boots. They are special because I usually only get to wear them for a week or so each year, but it is always a special week, fly fishing in some pristine wilderness environments, including Patagonia, New Zealand or Tassie. I have had an extensive management career in business strategy and marketing communications working in some of the world’s leading creative ad agencies including: Saatchi & Saatchi, Young & Rubicam, The Campaign Palace and George Patterson Y&R. During this time I worked on some of the world’s leading brands across all major market segments; including Retail, Finance, Corporate and Government. My international experience includes having trained and worked in Sydney, London, New York and Auckland. 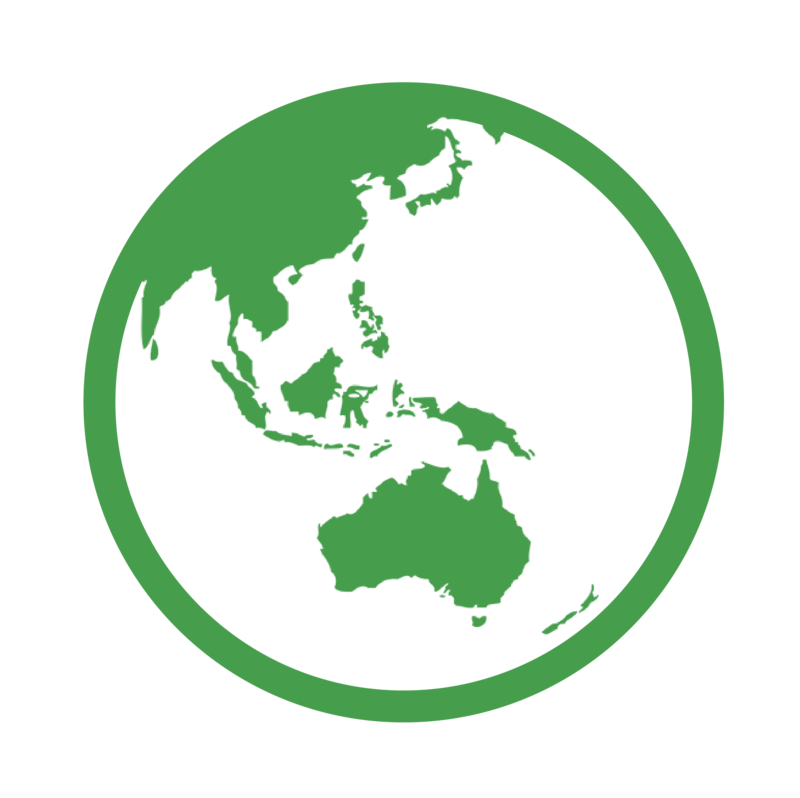 In addition to working with the XPotential Australia New Zealand team I am a Graduate of the Australian Institute of Company Directors and existing Chair of The Australian and New Zealand Recycling Platform. 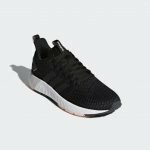 Favourite shoes: My favourite pair of shoes would have to be my current Adidas running shoes. In addition to wearing these whilst running, going to the gym and keeping fit and healthy, I also wear them whilst playing tennis and training for netball in an enjoyable, competitive team environment. I believe a successful brand is the driving force behind business. The ability to assist clients in building their brands, organisations and people is a stimulating motivator. I am a current final year University student studying a Bachelor of Commerce, majoring in Marketing and Accounting. I have a passion for working with people and exploring insights, producing innovative and creative solutions. 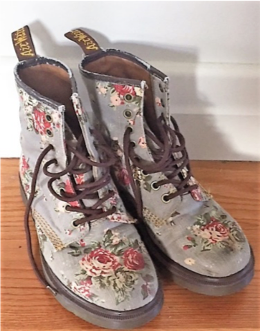 My favourite shoes are boots, my favourite boots are my doc martens – wearing them is like walking on air, comfortable and cute – always a talking point. My background is in communication– starting out in ad agencies in the 80’s, I’ve worked in marketing, publishing, sales and merchandising. My current role involves admin, copywriting, bookkeeping and whatever it takes to keep projects on track. Favourite shoes: My favourite shoes are a pair of old Keen waterproofs. What makes them special well for one thing I only wear them when I am trekking in some wonderful location whether that be up a mountain in Northern Vietnam or across a great beach in Australia or New Zealand! They always represent special times in special places! I believe that outstanding brands and exceptional people are at the heart of any winning organisation. During more than 30 years of my career I have focussed on aligning these two key drivers across brands as diverse as Ideal Standard, Dettol, Absolute Vodka, Chivas Regal and Gaviscon. The last 4 years have been with The Lixil Coporation (Global leader in Sanitary Ware) as Country Manager Australia and New Zealand. Prior to this I held General Management and Executive Sales Roles within world-class companies in the UK, Central Europe, Singapore, New Zealand and Australia including: Pernod Ricard New Zealand, Cerebos Australia & New Zealand, SAB Miller Central Europe and various roles at Reckitt & Colman (now Reckitt Benckiser) in Europe, Asia and Australia. 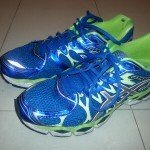 Favourite Shoes: My Asics. Yes, they may look like ordinary old running shoes. But mine are pretty worn out. I run for pleasure and run for health and fitness. Running makes me feel free, because it means I can go to places and see many things, depending only on my will and perseverance. No matter how far, difficult the trails, it’s just about me and my shoes. They are the only special equipment required. They are part of my life. Always first when I pack, always there when at home. They are worn out because they have been to many distant places. They are a reminder that you can be what you want, achieve what you believe, get where you want to go. It just takes you. I began my own consultancy firm Alia Consulting International in 1992 in Venezuela, whilst working as an anaesthetist. The firm specialised in developing strategic tools to enhance the performance of sales and marketing teams, based on medical information and training to the pharmaceutical industry in LATAM and the US. During this time I partnered with both major pharma companies and local/boutique pharmaceuticals including: AZ, GSK, Baxter, Merck, Novartis, Pfizer, Roche, and Sanofi. I was involved in many diverse and successful projects and campaigns, from working with marketing teams to launch new products, developing digital and physical support tools for doctors, patients, pharma reps, pharmacists & pharmacy assistants. I regularly researched and updated medical content for 6 pharmaceutical web pages to provide meaningful information to various target audiences and adapted global campaigns for local country markets, ensuring alignment to the core business objectives. I strongly believe that scientific knowledge and strategic thinking can generate great value if combined with the right insights. Favourite shoes: PK’s Dockies – These are my favourite shoes because when I see them in my yacht bag I am just about to go sailing,… my Love and passion, after my partner and children obviously. Sailing helps me escape and gain perspective on all that is happening, when I put my shoes on I feel I’m in the zone and as tactician for our yacht it’s a great way to mentally exercise as well as physically exercise and as they say there is nothing like the cool wind in your hair when you’re out there on the blue… wearing my blue dockies. Paul has spent the last 35 years working for and with companies, teams and entrepreneurs building strong brands, accelerating company growth and creating new consumer products. He worked for Pepsi-Cola in the US and Asia, as Marketing Chief and COO launching Gatorade, Pepsi Max and Liptonice in Australasia. At Fosters & CUB he led the Global Marketing Team that created a dominant market position under the innovative Carlton Mid-strength and Crown, Cascade and Carlton Dry Premium beers. He has held senior Marketing roles in both the large Breweries and when at Lion he launched the first and successful Tooheys Dry. As a consultant, he returned the GSW Abalone business to a profitable position, working with CSIRO to create the world famous premium Jade Tiger. His current projects include market and product development projects with Tasmania’s unique Blue Hills Honey and guiding the marketing of the newly launched “Berry Sensation’s Strawberry”. Paul has a Master’s Degree in Management and completed the Columbia Senior Executive Retreat. He likes to sail and play golf on a regular basis. 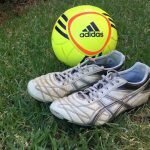 Favourite shoes: My favourite shoes are an old pair of Asics football (soccer) boots which are built for comfort, speed and agility. Even as a young boy I always loved running out on the sporting field as part of a team. Even if we didn’t win we were happy as long as we gave it our best shot, supported each other and had fun. These days I would add to that list being able to walk after a game! Hugh is an accomplished business leader with an impressive track record as both an executive, facilitator and management consultant. He held senior leadership roles in Europe, USA and Australia with AMCOR, UpRight, Searle and Yves Rocher. With full P&L responsibility he led business transformations across multiple sites delivering sustainable top and bottom line growth. Hugh works with both corporate and medium size businesses in manufacturing, construction and service industry. He uses a practical customised approach, blending facilitation, coaching and action learning to build client ownership and capability. Some of his clients include AMCOR, BP, AME Systems, Volgren, Chobani, Meredith Dairy, PPG Industries and Gekko Systems. He a founding director of the High Performance Consortium (HPC) and Non-Executive Director at Anthony Innovation Group. He is a past board member of the Association of Manufacturing Excellence and was a founding director of Innovation Insights (i2e). He has facilitated Leadership Development Programs at Melbourne Mount Eliza Business School and is an international speaker on business strategy and improvement at conferences North America. 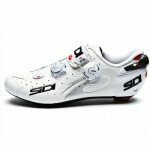 Favourite shoes: My Sidi’s because I love cycling and when I wear them I’m normally riding with friends, going fast, getting fit and there’s always a good coffee to look forward to at the end. Brands create value through capturing the hearts and minds of people. I believe that brand equity is built through helping people within organisations gain an intimate understanding of their customer/ consumer so it is clear how they create value and bring their brand to life. In October 2012 I joined XPotential when my company Percolate Consulting became part of the XPotential network. With more than 25 years leadership experience in general management, global and domestic marketing, strategy and innovation across multiple FMCG categories, I have worked for leading Fast Moving Consumer Goods Companies in Australasia, Asia, Latin America and Europe. My most recent role as Marketing & Innovation Director at National Foods (now part of Lion) provided the leadership to refocus the business strategy on brand building and innovation through greater consumer and customer focus. This included the restructure of the organisation to drive greater strategic clarity, cross-functional alignment and process integration. I also played a key role in the successful acquisition and integration of the Dairy Farmers business to create the largest dairy company in Australasia. Prior to this I worked for Fonterra, one of the world’s largest dairy companies, in global marketing & strategy roles and Reckitt Benckiser in Spain, France, the UK and New Zealand. In both these roles I was involved in the development and embedding of world-class sales & marketing processes. In addition to my consulting activities I am also a Non-Executive Director of Sports Dietitians Australia.